Long story short, Yirmumah is back after like a 10 month hiatus… here’s why. #1 Yirmumah has a long history (1998) and I still hear from fans all the time hoping and wishing that it comes back. Even when I try to kill it off, it just keeps coming back. 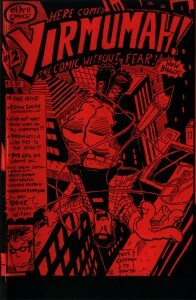 It’s not just a comic, it represents some sort of wacked out way of life that the fans relate to. That’s humbling. 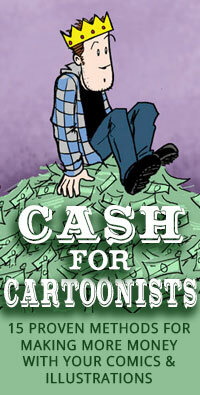 #2 Chris Crosby, webcomic legend and founder of Keenspot talked me into it. Well, not REALLY, but he was inquiring what had happened to the old archives which lead to conversations about bringing Yirmumah back to Keenspot in a permanent and ongoing way. #3 I had done broke the old archives. Over 800 strips (maybe over 1000 if you count comic pages and print work) was GONE. actually I didn’t break it, I just woke up one day to a fan asking me why he couldn’t read through the old archives anymore…. and I was like WTF??? Tried my best to get that old archive code working, but I believe it was toast with my host’s upgrading to futuristic PHP…. and conveniently a large majority of my archives were copied on my OLD keenspot account… so there you have it. Right now, there will be AT LEAST one comic per week. I would actually love to do more though, now that the bug has bitten me. I guess it depends on the reception from fans old and new… Encourage me with peer pressure if you want to see more. So leave some comments, and not only that, share this with your friends on your FaceBooks and Twittertrons to help spread the love. I will also be maintaining a new YIRBLOG here daily with miscellaneous stuff for Yirmumah fans to enjoy. Like I said, there are over 800 Yirmumah strips (somewhere!) since I have to do a little tedious updating to load batches in, I thought it would be the perfect time to go back and add in some commentary and review the classic strips. To keep track of when I add new batches, check out the Yirblog often. Thank you, that is all. 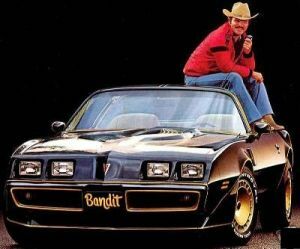 Happy Burt Reynolds Day. Damn it, man, it’s about time! Welcome back! This comic and its creator are so great in their vision of humor I fear reading the strips lest I involuntarily shart myself. You’re back! I just don’t know man, its like your playing some mad game with my heart, you’re there and we had such good times together and then you leave for bigger and better things, then you’re back and you’ve been hurt and of course I bring you in again, but after a while you feel like your more mature now and you leave, AGAIN! Now here you are trying to come back into my life saying you’ve missed me and how its all going to be different this time, I just don’t know man how I am I gonna trust you, and the llama, he was totally banging my old lady when I was out of town!